In the first post in this series, I mentioned that there was water standing in the basement when we first looked at the house. Daddy was pretty certain he knew what the problem was, and said he could fix it. (My daddy can fix anything!) He said the problem was that the water from the roof wasn't draining away from the house, and through the years the ground around the house was dipping back toward it. So, he built window wells around the basement windows, and dug a ditch and laid pipe to route the water away from the house. The only time we've had a problem with water since then was a couple of years ago when we had an enormous amount of rain in a short amount of time. The opening of the pipe Daddy had laid was clogged, so after CH cleared the space, there was no problem. Now to the pictures of the inside! Let's start with the kitchen. I mentioned the painting, floors, and cleaning the cabinets. One of the first things we did was to take the island out. I didn't think the kitchen was quite big enough to have one in there, and it opened it up a little more. 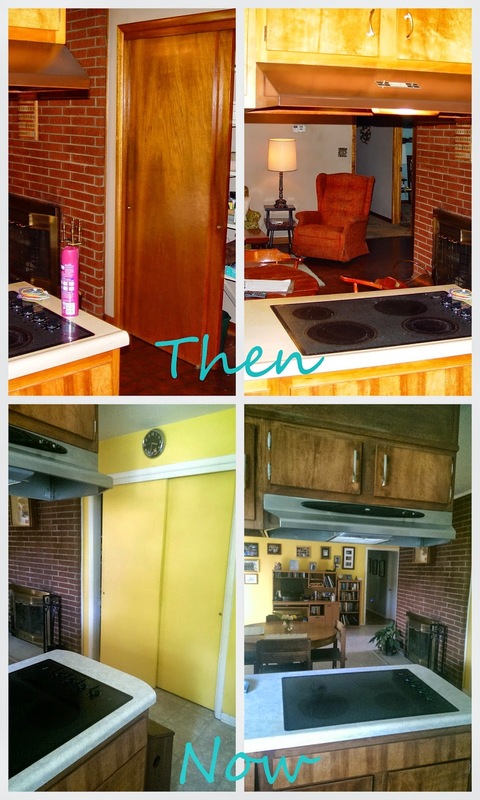 We've had the cabinets refinished and the hardware updated, and added a ceiling fan. We also opted for a single oven, and got my daddy to build a shelf to put just over it for the microwave. We also had to get a new dishwasher, hood, sink, and faucet. The cooktop is the same one that was in when we bought the house; it was what I would've bought, and it works great. We added a couple of outlets on the wall that the oven is on, and are planning on adding a tile backsplash. We're in no hurry to do that, because we hope to do a remodel in a couple of years, pulling the cabinets (that the stove is on) back a little to make that area just a little bigger. We also plan on putting in different cabinets. I'd also like to put in a freestanding hood. 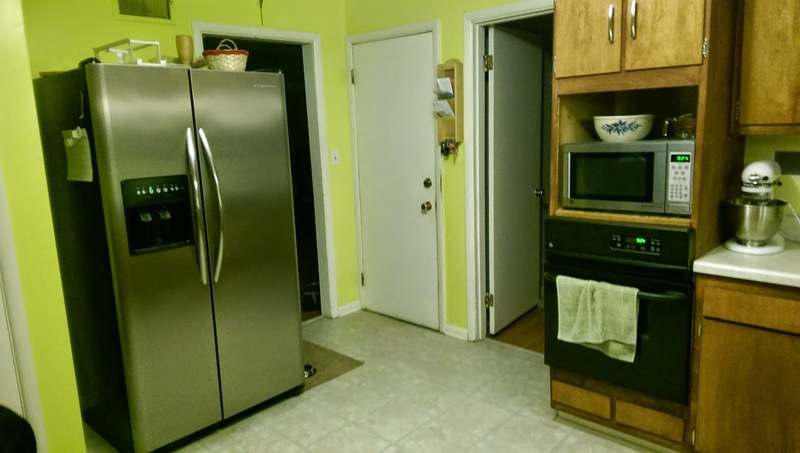 There is a 2nd part of the kitchen. My parents' next-door-neighbors use that area as a den, but they don't have a sliding glass door; they have a single door to the backyard. I want to paint the fireplace insert either black or polished nickel. The fireplace is a wood-burning one, which I love. It doesn't get used that often. Before using it for the first time, we had a chimney sweep come in and clean everything out and make sure it was okay to use. There were some minor fixes, but nothing serious. Ever since we moved in, we have been discussing taking the wall next to the fireplace out and having the living room open into the kitchen. The downside is that I'll lose my pantry, and I'm not sure how it will work or look since I'm fairly certain part of the wall is load-bearing. We've also discussed just a pass-through. If we did that, I wouldn't lose all of the pantry, but I'm not so sure about someone being able to look through our living room window all the way to the kitchen. Something to think about! 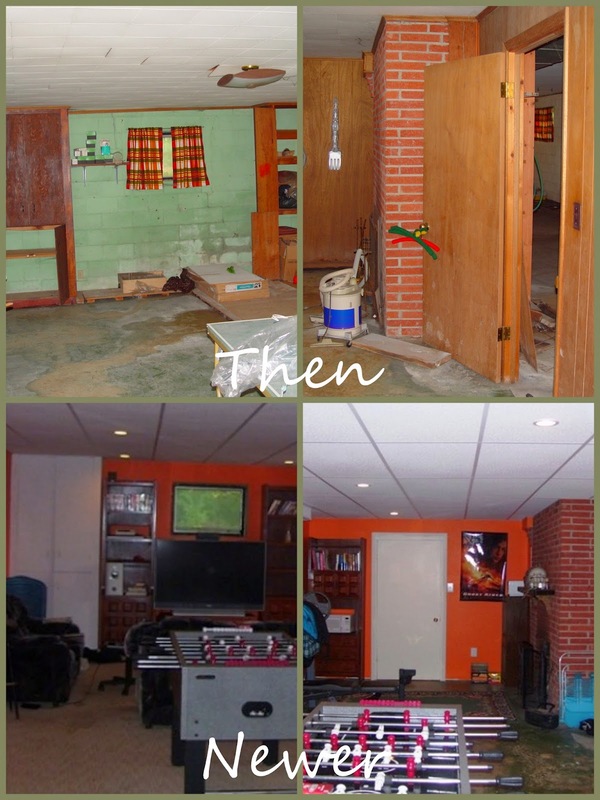 Since I talked about the basement at the beginning of this post, I wanted to let you see how it's changed. I didn't take pictures of the "Man Cave" now since YS has taken over & it's a total wreck! 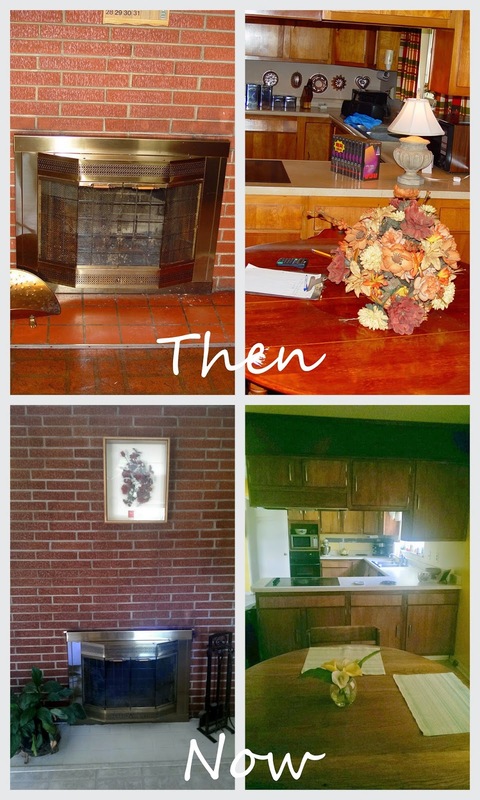 The brick that you see on the pictures on the right is another fireplace. It's in a really weird place, but we have used it, especially when we watch football on the bigscreen in the winter. The biggest transformations are yet to come! We are looking at some home renovations in the near future. No one here is handy at all so I"m going to have to find someone to do them. 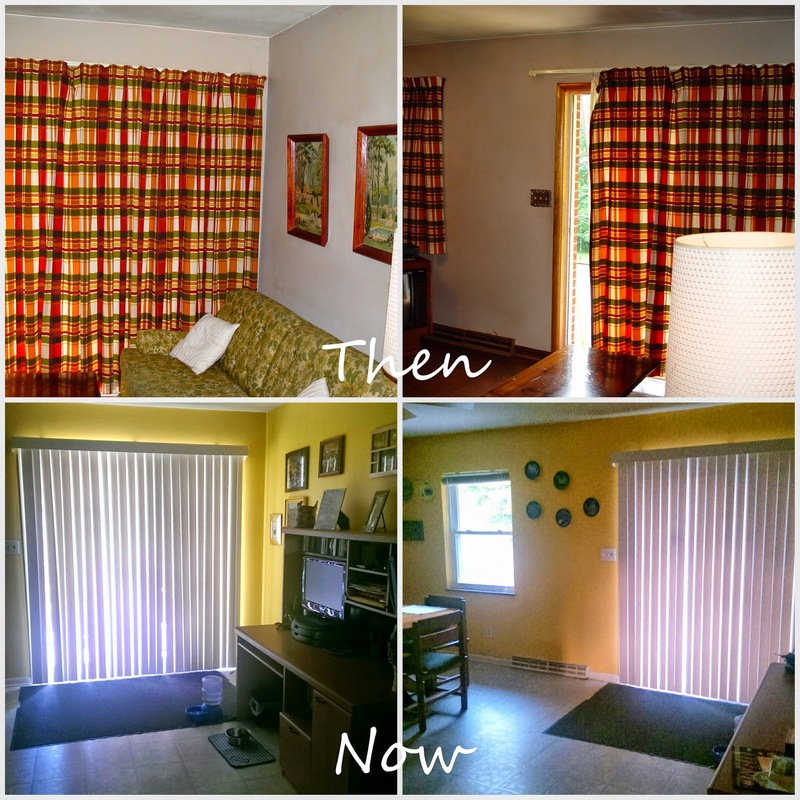 It is nice to see what simple things can do to a house; all those Houzz photos are wonderful, but when they talk about inexpensive $3000 sofas, you know that they aren't speaking my language. I've remodeled a basement before so I know what a huge difference a dry one makes! 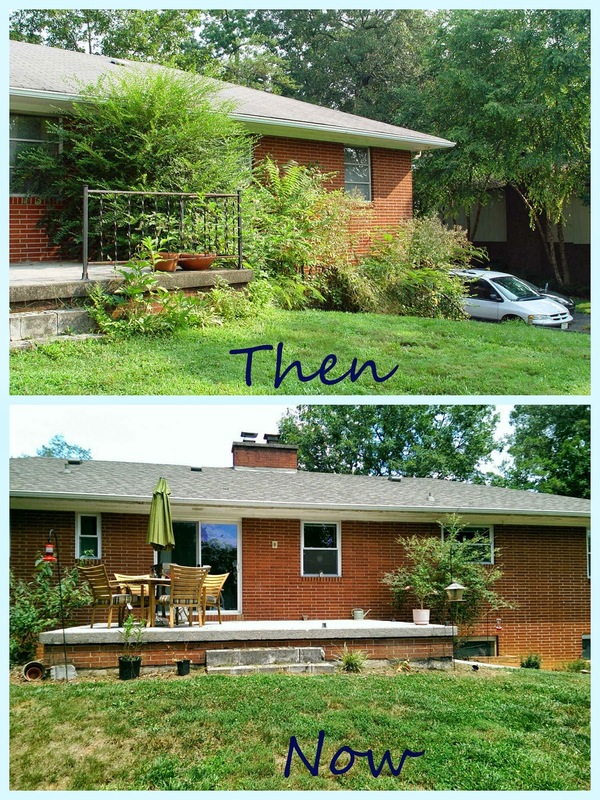 Lovely pics of your house Mary! You've done a lot!! You've done wonders to the house. Looks great!! I don't think you mentioned how many years ago you moved in? Or I missed it somewhere. 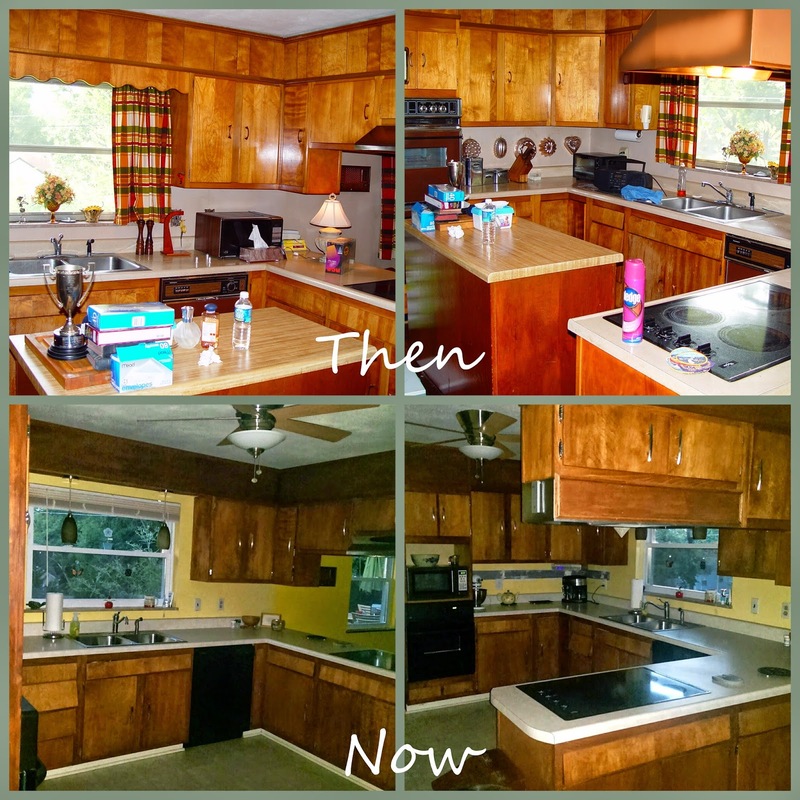 Little changes make such a big difference; as in removing the kitchen island. 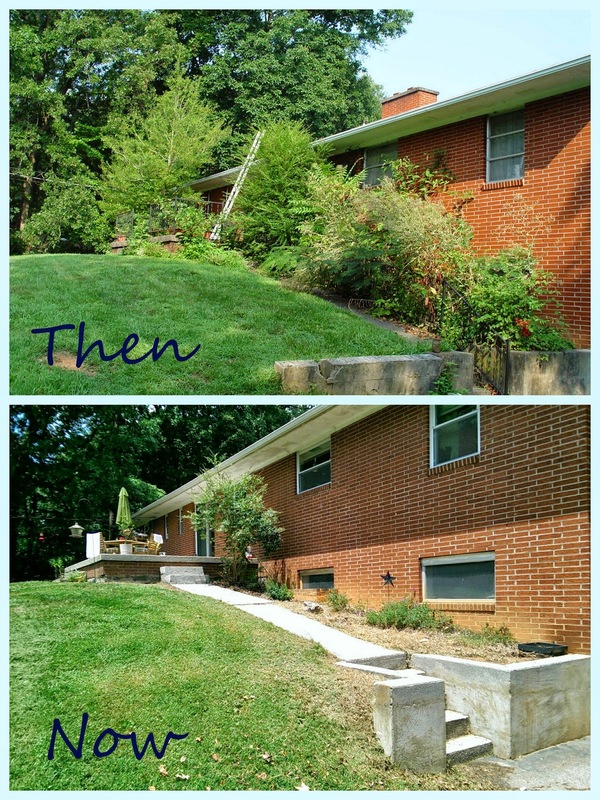 We are talking about doing a HUGE renovation in January and I'm already scared!